Thousands of children of EU nationals risk becoming a new “Windrush generation”, says new research by Coram released today. Coram are concerned that vulnerable children could become undocumented in the same way as the Caribbean children who came to the UK decades ago. 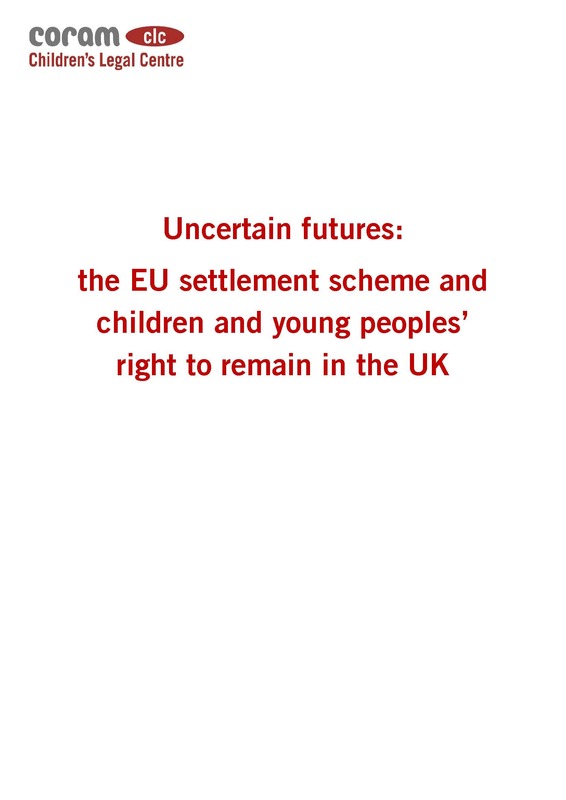 The report from Coram Children’s Legal Centre (CCLC), sets out the risk caused by the complexity of many cases and lack of legal advice on how to secure permanent status post-Brexit. Other children the report has identified as vulnerable are victims of domestic violence or children whose parents will not or cannot provide paperwork to evidence their time in the country or, who are unable to prove the length of their stay in the UK.